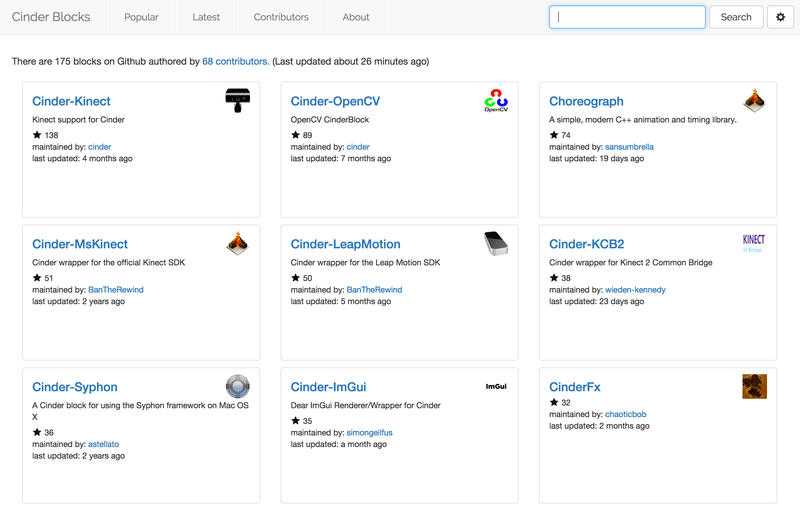 OpenFrameworks & Cinder are two incredible open source C++ creative coding frameworks that are developed and maintained by an amazing community of volunteers. I have been using both on an almost daily basis for years and to say they have had a profound effect on my career is an understate as they inform almost all of my personal and professional work these days. As a way to give back to the community I built a simple site for each that allows you to search for an extension (or contributor) by name, description or keyword and then sort the results based on popularity and recent activity. 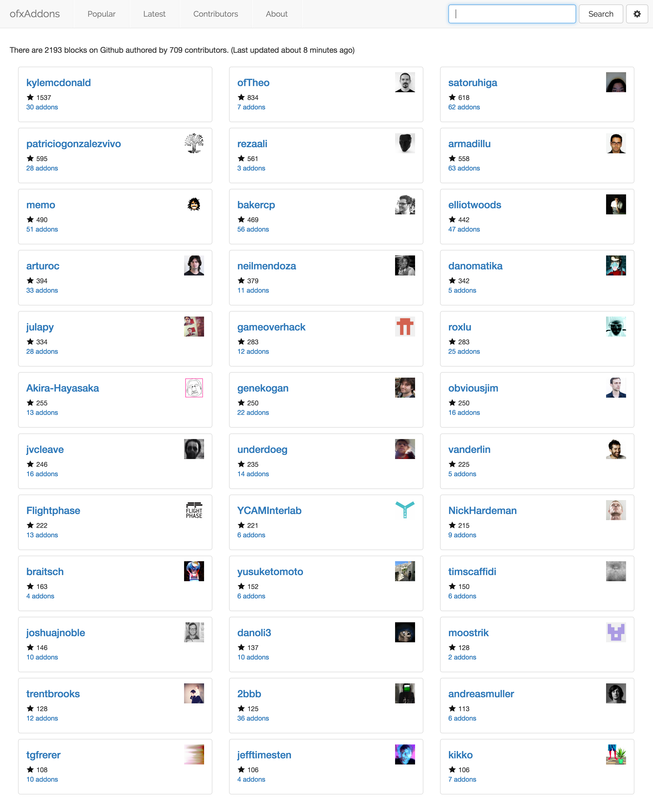 The sites each use a slightly modified version of Twitter Bootstrap on the front end and are served by a Node.js server running on a Digital Ocean vps. As of February 2016 each site gets about 15-30 hits per day. If you find either site useful or have suggestions for improvements I'd love to know.